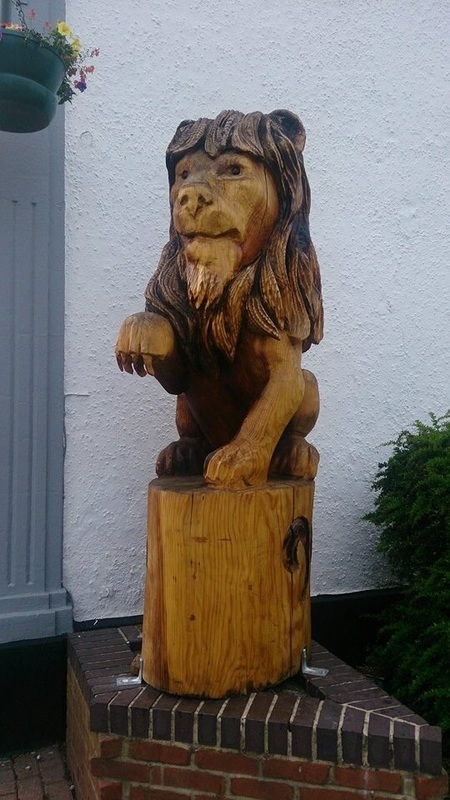 The Lion Hotel - Belper, Derbyshire. This was my first visit to The Lion after hearing somewhat mixed reviews. 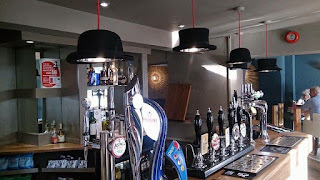 I think from what others had told me, this place has been taken over not too long ago and has improved massively since then both in appearance and the food, so I wasn't too worried really! Upon arriving, there is a car park behind the building but if you're not staying as a hotel guest it costs £5 according to the signs that are dotted about. So, we opted to park in the public car park which is just around the back and only cost us 60p as it was after 6pm. No brainer. The interior has quite a neutral theme with a hint of blue which was nice as it was nothing over the top. 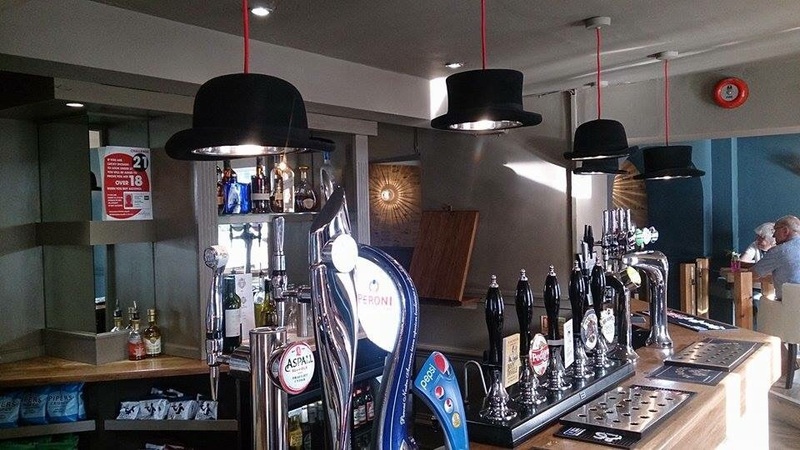 There were a few little quirks however with antlers around the wall lights, flowers in pink coloured water and top hats for bar lights! I visited with my friends Emily & Rachel for a girly catch up. It was relatively busy when we arrived, mainly with drinkers but still, there was a good atmosphere. 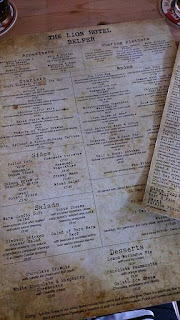 We were seated straight away to the left of the bar and given menus along with a stone baked pizza menu and specials. The main menu was quite hard to read as there is so much on there! But this meant that there was plenty of choice and something to suit everyone. I opted for one of the pizza's, Margarita as I'm not very adventurous. 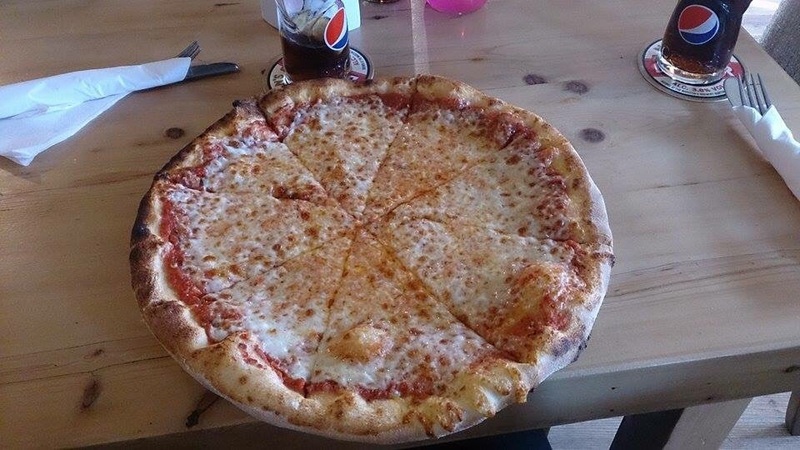 The waitress did mention to us that as the pizza's are made in a different kitchen, it may come out at a different time which was no issue. It was nice and cheesy, just how I like them! It was very big though and I managed all but one slice. I know, so close! 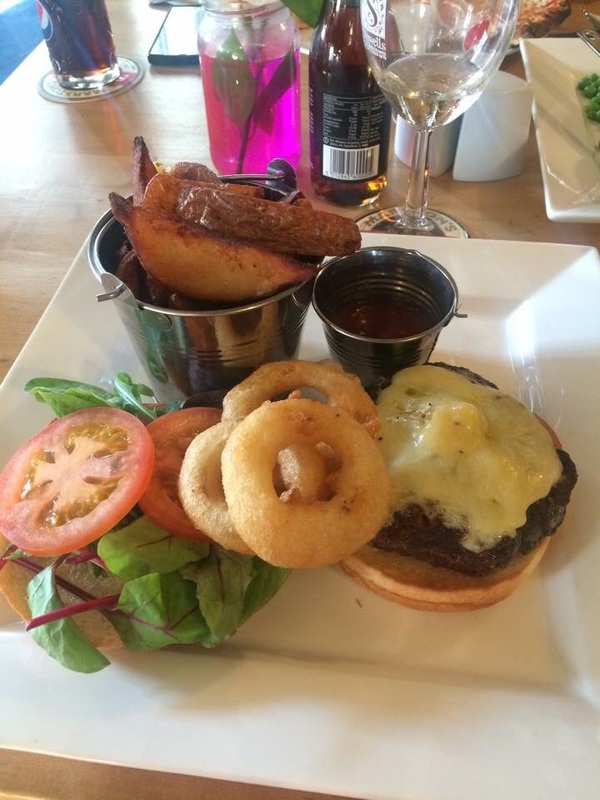 Emily chose to have the burger which came with cheese, bacon, onion rings, a bucket of chunky chips and relish. I'm told this was lovely and very filling. 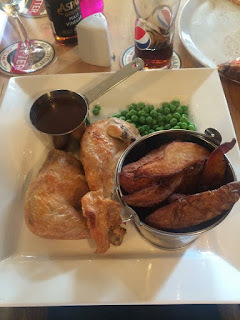 Rachel opted for the half a roast chicken which was served with the chunky chips again, peas and pan gravy. She told me that the chicken was perfect and the gravy was delicious. The chips went down well with both Rachel and Emily with them being proper home made chips. Now for dessert. 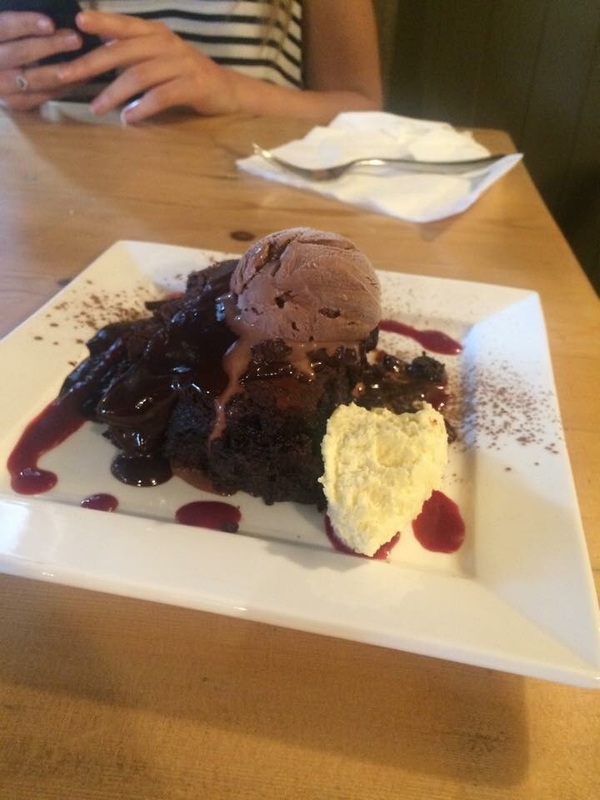 Unfortunately I was too full from my pizza, but Rachel had a chocolate brownie. I couldn't not try it! The brownie comes with vanilla ice cream, cream and a berry coulis. After ordering, the waitress returned to apologise that they had no vanilla left and gave the option of strawberry or chocolate instead. 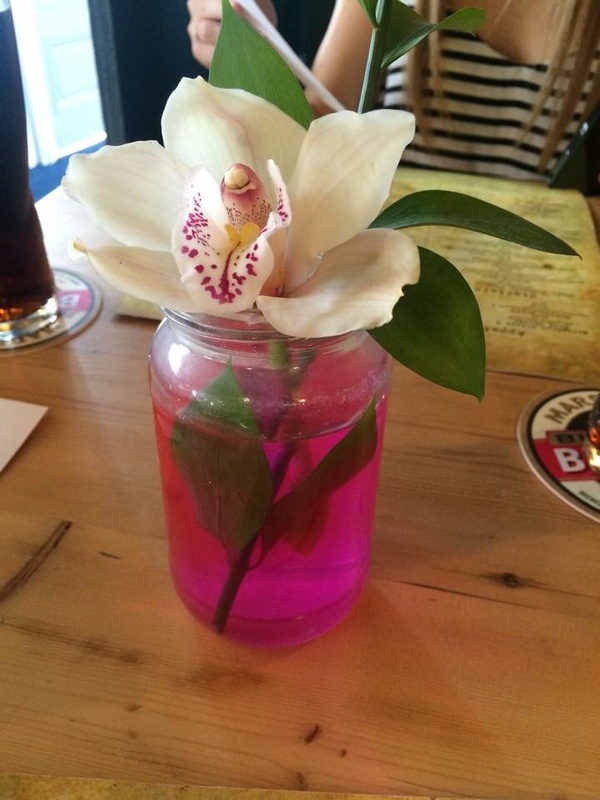 It was so nice! Rich, chocolatey and soft. The thing that we all noticed was how big the portion sizes were. I suppose this means good value for money but there was just so much food! The prices are very reasonable too for both food and drinks. 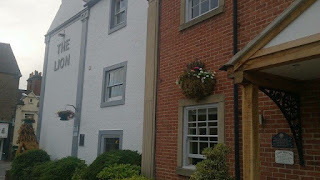 The staff were all very friendly and we had no issues at all during our time here. I would visit again but wouldn't go out of my way to go back.